A United Kingdom-based whistleblower, who is at the centre of a storm over alleged data breaches by Cambridge Analytica, on Wednesday posted information on social media that claims to expose the British consultancy’s work in India dating back to 2003. 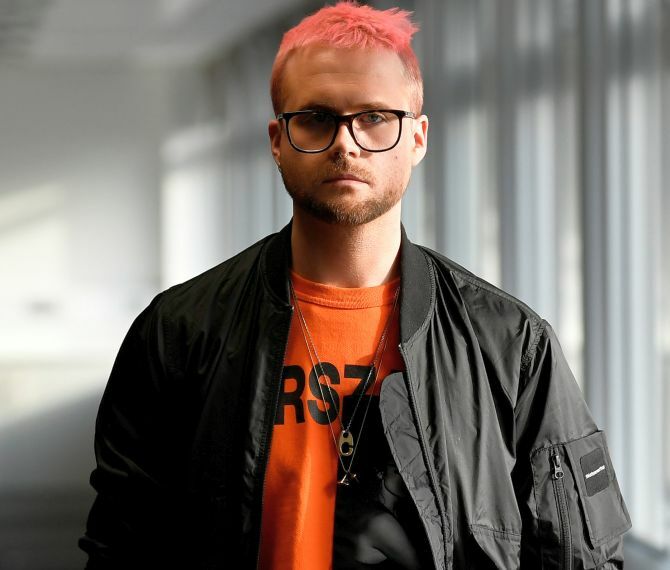 Christopher Wylie, a former employee of CA, had told MPs during his evidence before the UK Parliament’s Digital, Culture, Media and Sport Committee on Tuesday that the company had worked “extensively” in India and that he believes Congress was one of its clients. In a post on Twitter on Wednesday, the 28-year-old also named the Janata Dal-United as a client during the 2010 Bihar elections and brought up some caste surveys carried out in Uttar Pradesh by SCL India -- the parent company of CA. “I’ve been getting a lot of requests from Indian journalists, so here are some of SCL’s past projects in India. To the most frequently asked question -- yes SCL/CA works in India and has offices there. This is what modern colonialism looks like,” Wylie tweeted. His message includes documents which indicate that SCL India boasted a database of “over 600 districts and 7 lakh villages, which is constantly being updated”. Its reach in India is said to include a head office in Ghaziabad, with nine regional offices in Ahmedabad, Bangalore, Cuttack, Guwahati, Hyderabad, Indore, Kolkata, Patna and Pune. “SCL India was asked to provide research and strategy for the 2010 State Elections for the Janata Dal-United. SCL undertook a behavioural research programme targeting over 75 per cent of households to assist the client in not only identifying the correct battlegrounds, but also the right audiences, messages and most importantly the right castes to target with their campaigns,” Wylie’s document notes. The JD-U went on to win the 2010 state elections as part of an alliance with the National Democratic Alliance. The Maldivian government’s decision to lift the state of emergency after 45 days, just ahead of the expiry of its second self-imposed deadline, comes as cold comfort for those concerned about the turn of events in the islands over the past couple of months. In a statement India said the withdrawal of the emergency is but “one step”, and much more must be done to restore democracy in the Maldives. The opposition, mostly in exile and led by former President Mohamad Nasheed, says the emergency was lifted only because President Abdulla Yameen has established total control over the judiciary and parliament since the February 1 court verdict that cancelled the sentencing of 12 opposition leaders and ordered their release. In a dramatic turn of events Mr. Yameen had then ordered the arrest of two judges, as well as hundreds of activists and politicians including former President Abdul Gayoom, and imposed a state of emergency. The remaining judges overturned the February 1 release order, under what is seen to be coercion by the security forces, which had locked down the Majlis (parliament) and court buildings. Therefore, lifting the emergency does not automatically amount to status quo ante. 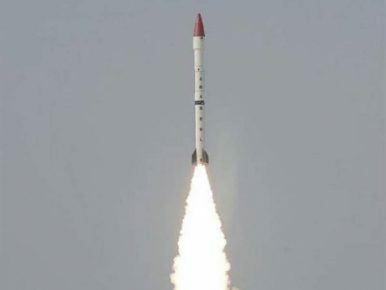 China has acknowledged that it sold Pakistan a tracking system for use in developing new ballistic missiles capable of delivering multiple nuclear warheads, according to a report published last week in the South China Morning Post. Chinese government authorities decided to declassify information on a Sino-Pakistani deal last week; a statement posted on the website of the Chinese Academy of Sciences (CAS) acknowledged the sale and said that China was the first country to transfer this kind of equipment to Pakistan. On March 26 China will finally launch a yuan-dominated oil futures contract. Over the last decade there have been a number of “false-starts,” but this time the contract has gotten approval from China’s State Council. With that approval, the “petroyuan” will become real and China will set out to challenge the “petrodollar” for dominance. Adam Levinson, managing partner and chief investment officer at hedge fund manager Graticule Asset Management Asia (GAMA), already warned last year that China launching a yuan-denominated oil futures contract will shock those investors who have not been paying attention. China has the largest illegal fishing operation in the world and is a major poacher in foreign waters from Southeast Asia to Africa and South America. The Chinese subsidize several thousand fishing ships to make this poacher fleet profitable and, at least in the South China Sea and other nearby waters, will send warships (heavily armed “coast guard” vessels (to intimidate local fishing patrol boats to back off. But China has not used their coast guard ships long distances from China (off Africa and South America). In those distant waters subsidized fishing boats will do what they can to protect poachers. These subsidized fishing boats are part of a semi-official naval militia that uses unarmed, but willing. Fishing boats and crews to “interfere” with armed patrol boats (which Chinese ships are poaching) or to block foreign fishing boats from fishing areas China claims for its own exclusive use. “Let me assure those people who intend to fight a trade war,” Cui Tiankai, China’s ambassador to the U.S., told China Daily, Beijing’s official English-language newspaper. “We will certainly fight back. We will retaliate. If people want to play tough, we will play tough with them and see who will last longer.” Most assume, as trade frictions intensify, that China will outlast the U.S.—yet it is America, because it runs persistent trade deficits and for other reasons, that will likely eventually prevail. CANBERRA – When the U.S. aircraft carrier, Carl Vincent, recently made a port call at Da Nang, Vietnam, it attracted international attention because this was the first time that a large contingent of U.S. military personnel landed on Vietnamese soil since the last of the American troops withdrew from that country in 1975. The symbolism of this port call, however, cannot obscure the fact that the United States, under two successive presidents, has had no coherent strategy for the South China Sea. It was on President Barack Obama’s watch that China created and militarized seven artificial islands in the South China Sea, while his successor, Donald Trump, still does not seem to have that critical subregion on his radar. In a fast-changing world, governance systems must support rapid decision-making under conditions of radical uncertainty, while maintaining accountability. That – not the Western expectation of what a governance system should look like – is the standard by which we should be assessing political developments in China. 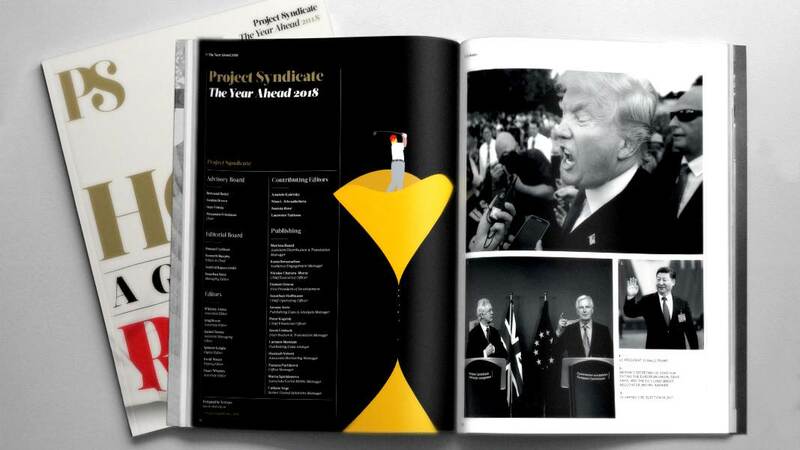 HONG KONG – Following China’s “two sessions” – the annual meetings of the national legislature and the top political advisory body – all Western observers, it seems, are discussing the removal of the two-term limit for the president. Xi Jinping, the international media insists, is consolidating power, and may even be laying the groundwork for a Mao Zedong-style personality cult. But this reading is fundamentally flawed. BEIJING (AP) — A look at recent developments in the South China Sea, where China is pitted against smaller neighbors in multiple disputes over islands, coral reefs and lagoons in waters crucial for global commerce and rich in fish and potential oil and gas reserves: EDITOR’S NOTE: This is a weekly look at the latest developments in the South China Sea, the location of several territorial conflicts that have raised tensions in the region. China’s air force says it recently sent some of its most advanced fighters and bombers for “joint combat patrols” over the South China Sea. Spokesman for the People’s Liberation Army Air Force Shen Jinke was quoted on Sunday as saying that the planes involved included H-6K long-range strategic bombers. The bombers are considered “standoff” weapons that carry the DH-20 land-attack cruise missile, giving it the ability to hit targets as far away as Australia. This strategy, known as the Chinese version of the Fourth Industrial Revolution, had initially raised concerns in the United States and European Union because of the mainland’s goal to wean itself off importing a range of technologies from leading foreign suppliers. “Instead of moving ahead with the progressive market-based reforms announced at the Third Plenum in 2013, state planners are unfortunately falling back on the old approach of top-down decision-making,” Jörg Wuttke, the president of the European Union Chamber of Commerce in China, said in a report. The system, which involves an enormous network of fuel-burning chambers installed high up on the Tibetan mountains, could increase rainfall in the region by up to 10 billion cubic metres a year – about 7 per cent of China’s total water consumption – according to researchers involved in the project. Tens of thousands of chambers will be built at selected locations across the Tibetan plateau to produce rainfall over a total area of about 1.6 million square kilometres (620,000 square miles), or three times the size of Spain. It will be the world’s biggest such project. Lost in last week’s coverage of tariffs and trade deficits was the Trump administration’s landmark decision to confront China’s unfair and illegal practices that threaten our economic security. It’s the opening salvo of the key economic battle of the 21st century and part of a worldwide struggle the United States must lead. The Chinese government’s strategy to amass control of critical technologies while undermining the rules-based trade system built by the United States and its partners will be hard to combat. Exactly how the administration plans to tackle the task remains unclear. But the implications of that long-term project reach far beyond the short-term battle over tariffs or deficits now brewing between Washington and Beijing. The Jvari Monastery, built in the sixth century, sits high above a central artery that slices through a picturesque gorge linking Gori to Tbilisi. On the fourth day of the 2008 August war, Russian forces advanced as far as nearby Mtskheta, within artillery range of this temple, just outside Tbilisi. The topography of this area would make any advancing army twitchy, given its wealth of natural defensive fortifications, as well as its canopy of forest for cover and concealment. 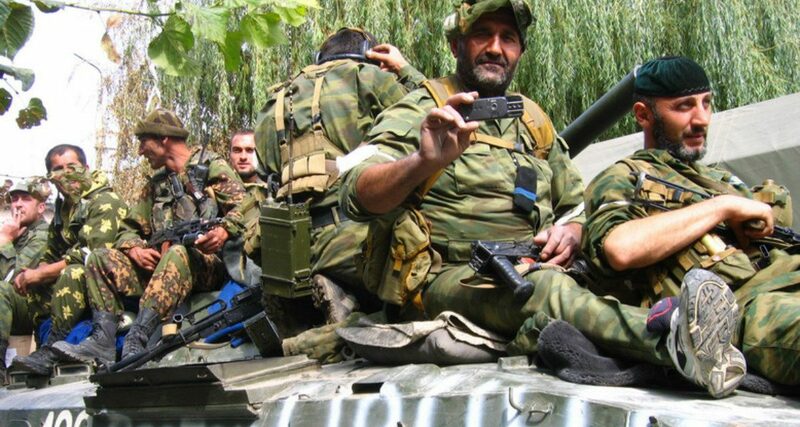 According to Georgian military officials, the Georgian army was prepared to fall back and fight a prolonged insurgency if the Russian forces had advanced farther southeastward. There were reports of Russian aircraft shelling the television tower that soars high above Tbilisi, as European officials scrambled to get both sides to declare a cease-fire. Much of the world were glued to their televisions, but they were watching the Beijing Olympics, not the unfolding war in Georgia. Even a number of Georgians were caught off guard, given that August is when politicians and defense officials typically head for the Black Sea coast for vacation. Even Georgia’s best-trained brigade was in Iraq. Two European elections – in Germany on 24 September 2017 and Italy on 4 March 2018 – warn that the peoples of Europe are drifting apart. Much of the recent deepening of these divisions can be traced to Europe’s single currency, the euro. This column argues that the political divide in Europe may now be hard to roll back absent a shift in focus to national priorities that pay urgent attention to the needs of those being left behind. The University of Cambridge economist Nicholas Kaldor was first to warn that the euro would divide Europe (reprinted in Kaldor 1978). His critique came in March 1971 as a response to the Werner Commission Report, which presented the original blueprint of what would eventually be the euro area’s architecture (Werner 1970). America’s decision to abandon the global system it helped build, and then preserve for more than seven decades, marks a turning point, because others lack either the interest or the means to sustain it. The result will be a world that is less free, less prosperous, and less peaceful, for Americans and others alike. NEW DELHI – After a run of nearly one thousand years, quipped the French philosopher and writer Voltaire, the fading Holy Roman Empire was neither holy nor Roman nor an empire. 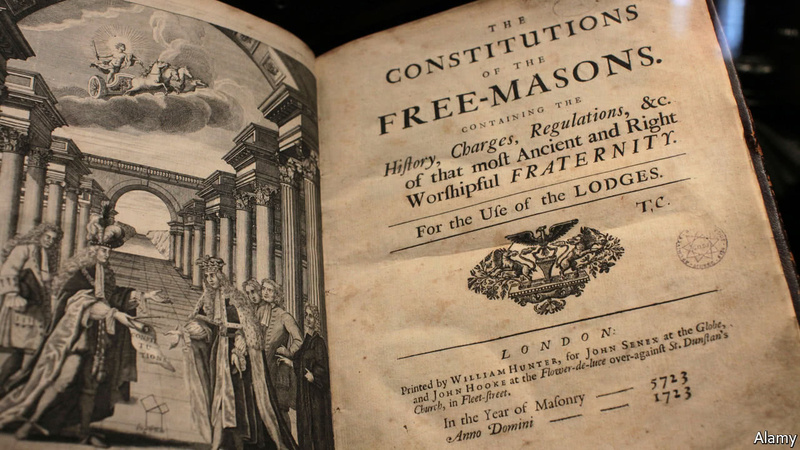 Today, some two and a half centuries later, the problem, to paraphrase Voltaire, is that the fading liberal world order is neither liberal nor worldwide nor orderly. After a year in which US President Donald Trump did not follow through on his promised protectionism, he has finally done so. It is quickly becoming clear that Trump's attacks on free trade are not just about global commerce, but about the entire rules-based international system. BERLIN – US President Donald Trump is getting serious about translating his contempt for the international system into concrete policies. His decision to impose $50 billion in punitive import tariffs on many Chinese goods could severely disrupt global trade. And while he made a last-minute decision to exempt EU goods from such tariffs, Europe may yet end up in the line of fire. When the New York International Auto Show opens on Friday, Audi will be featuring vehicles like the SQ5, one of the German automaker’s latest entries in the highly competitive S.U.V. market. Well appointed and high powered, the SQ5, which ranges in price from $54,300 to nearly $70,000 with options, competes with the likes of BMW, Lexus, Lincoln and Land Rover. It’s a German import, the kind President Trump has threatened with tariffs. The president is miffed at Germany’s “already massive tariffs and barriers” and says he’s going to tilt the track back in our favor. (Technically, Germany doesn’t impose tariffs; the European Union does.) 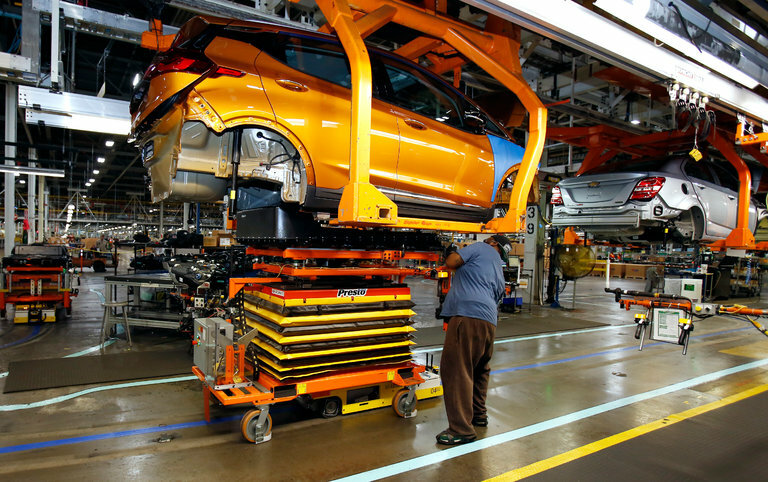 Last year, the United States imported $20.1 billion worth of German cars while its exports of cars to Germany reached $5.7 billion, according to the Commerce Department. It is not news that cyberspace is insecure. Attackers have had the advantage over defenders for not just years, but decades. Quotes from decades ago make it clear that cyber defenders then faced the same challenges we do today (and with a similar lack of success). When was the last presentation you heard that had anything as smart as the following? “The system designer must be aware of the points of vulnerability, which may be thought of as leakage points, and he must provide adequate mechanisms to counteract both accidental and deliberate events. The specific leakage points include physical surroundings, hardware, software, communication links, and organizational (personnel and procedures). 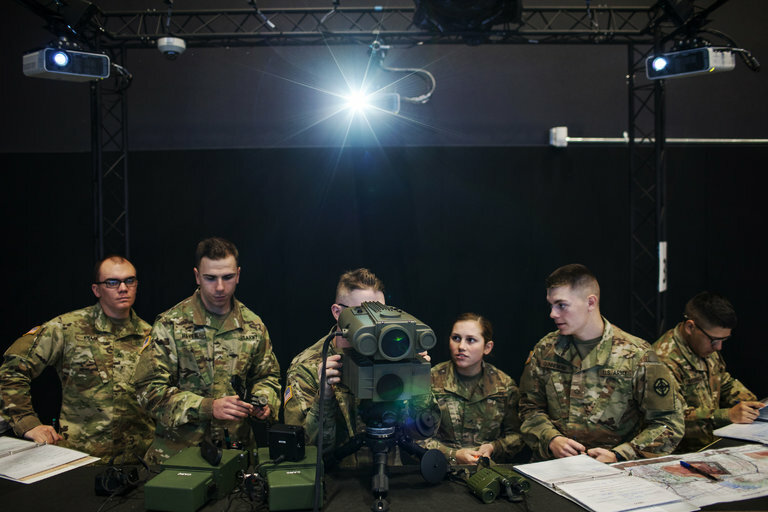 WASHINGTON — It’s the beginning of a new era in Army acquisition in which soldiers might not have to wait 10 years or longer to see a new weapon or capability in the field, but instead could get modern, new systems in their hands within just a few short years. That’s at least what service leaders tasked to come up with new road maps for the Army’s top modernization priorities are thinking is possible. The newly vigorous pace is fueled by the frustration created by years of painful acquisition blunders, sluggish bureaucratic processes and wasted dollars, all on top of the fact that near-peer adversaries like Russia haven’t waited to develop weapons systems that would create serious dilemmas for the U.S. Army and its Middle East-tuned equipment if it had to face off in a conflict.